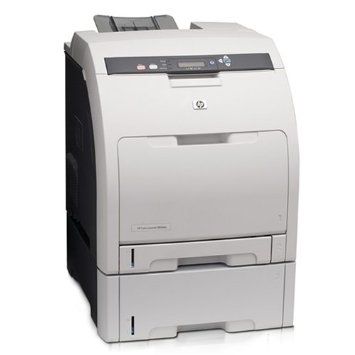 The HP Color LaserJet 3800dtn is ready to impress! Make a lasting impression with fast printing in both color and black and white at up to 22 ppm. You'll get bright colors and sharp images with HP's ImageREt 3600. There's nothing but the best with the fully networkable 3800dtn color laser printer. With dependable features and reliable results, clients and competition alike will be amazed with the quality of printing you create. 288 MB RAM and a 533 MHz processor will make printing times and network traffic a thing of the past. Printer management and administrative tools will boost efficiency and productivity to an all-time high and make your life easier in the process. The HP Color LaserJet 3800dtn will be your hardest working employee...without the coffee breaks.